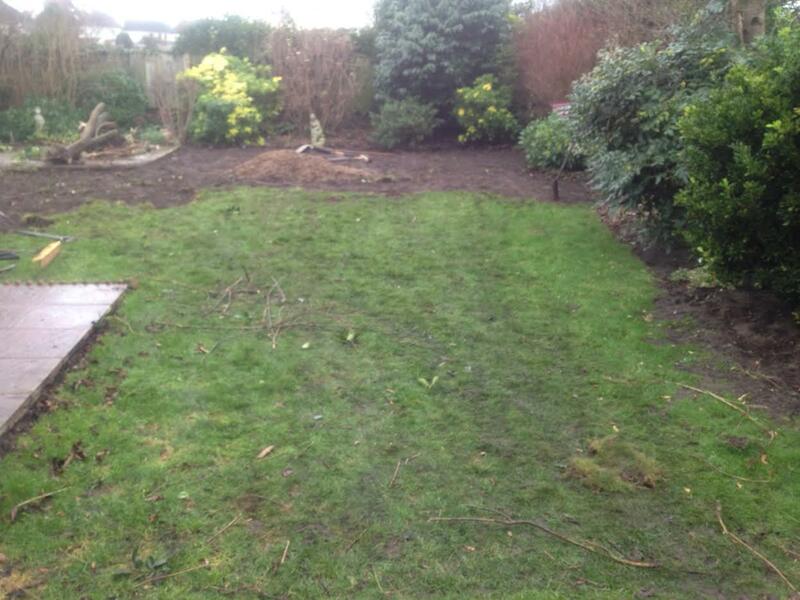 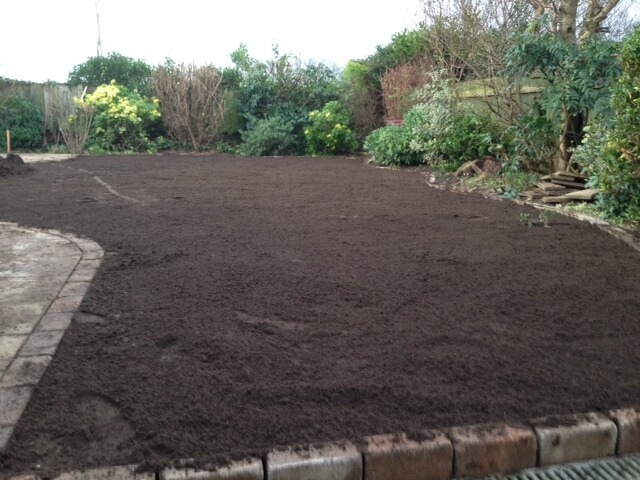 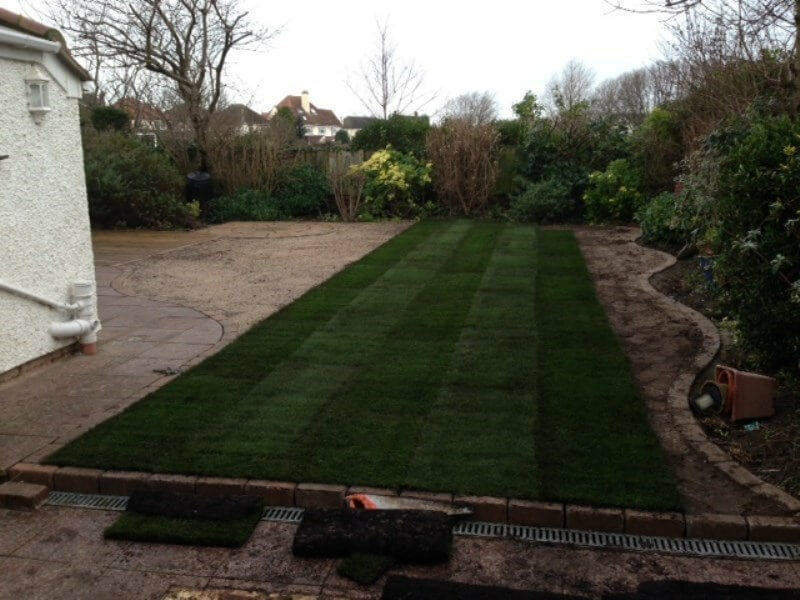 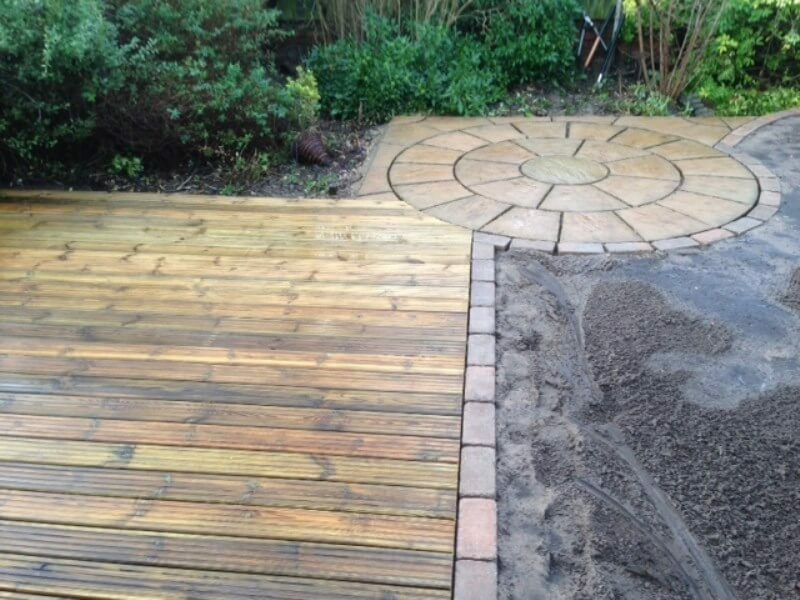 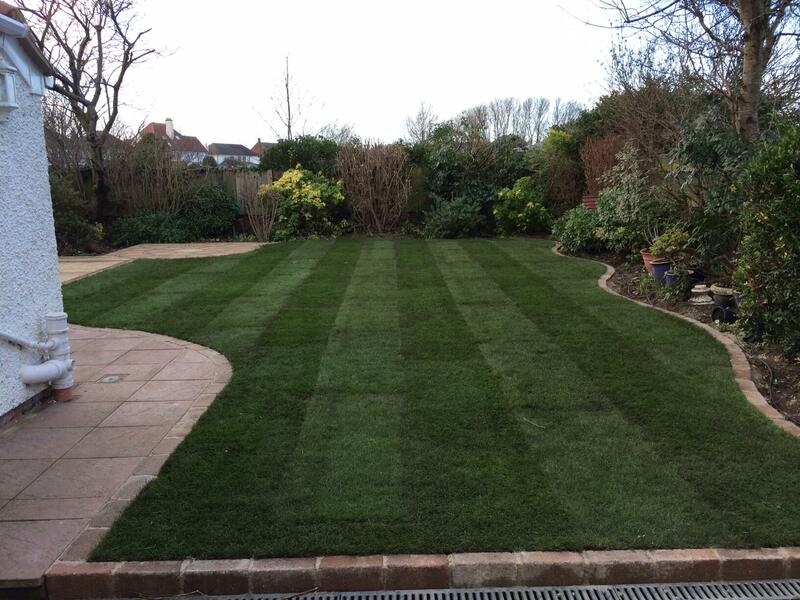 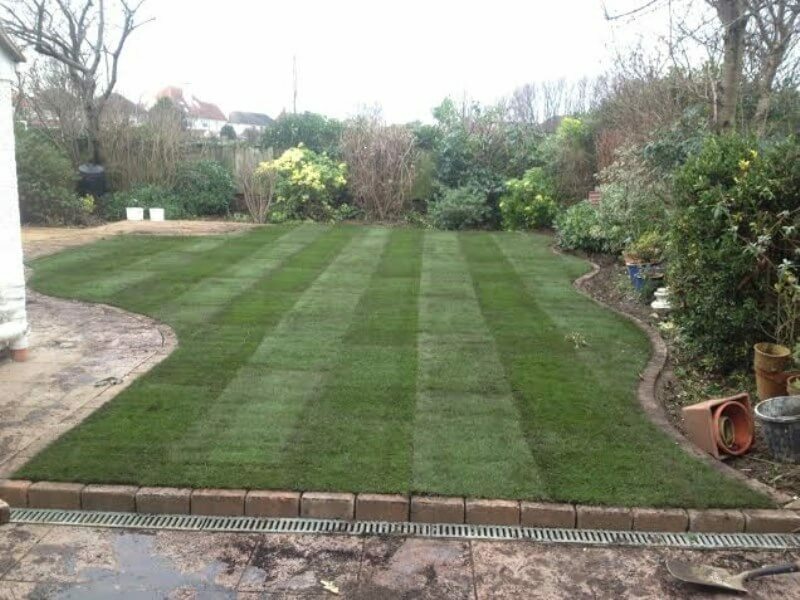 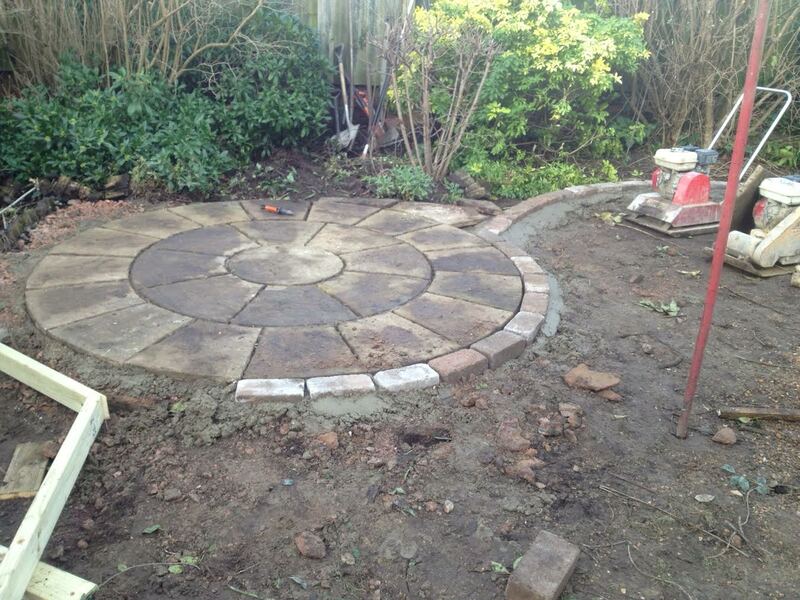 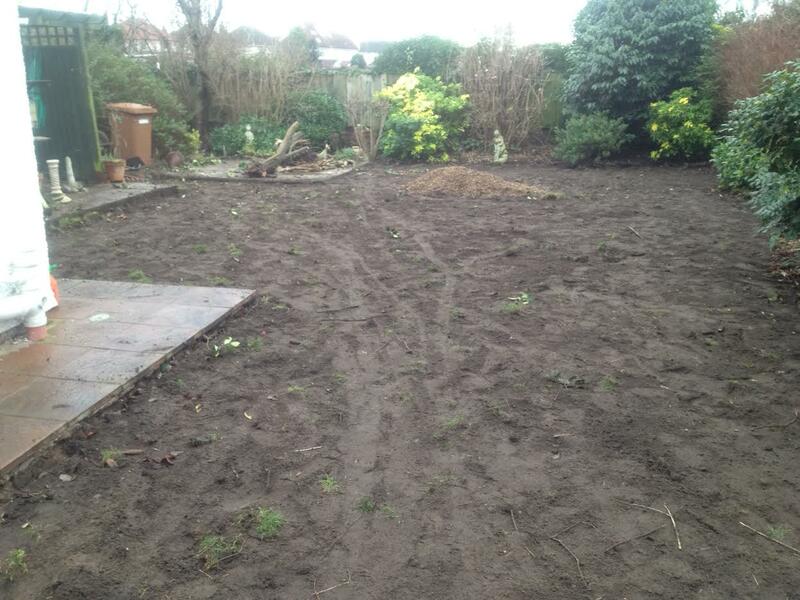 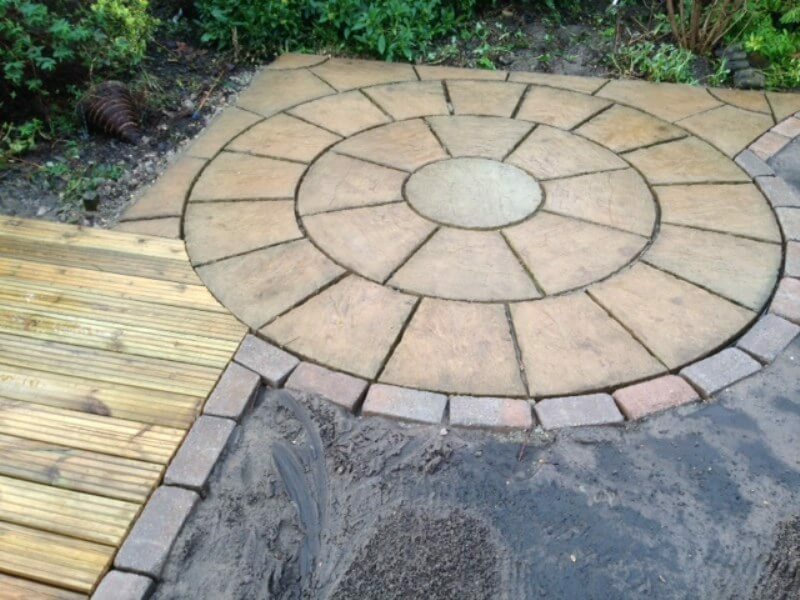 In this garden landscaping project, we were transforming the rear garden by installing a new lawn with a mowing decorative edge to separate the borders from the new lawn. 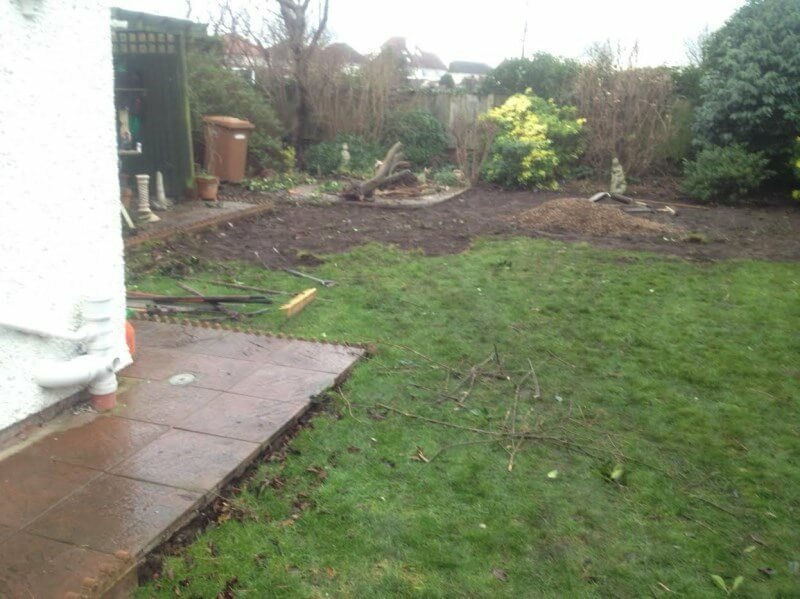 To start with we were removing some unwanted trees and pruning some bushes, then we were removing the old lawn and pergola as part of the preparation. 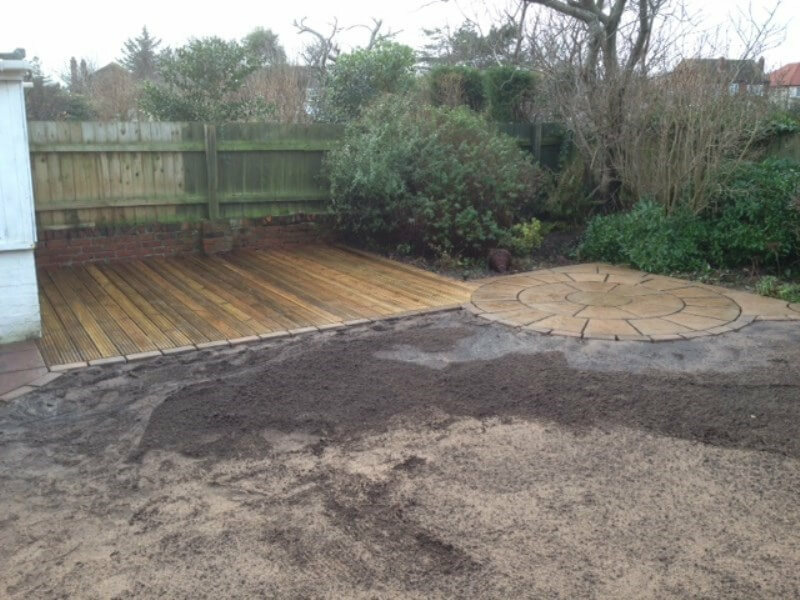 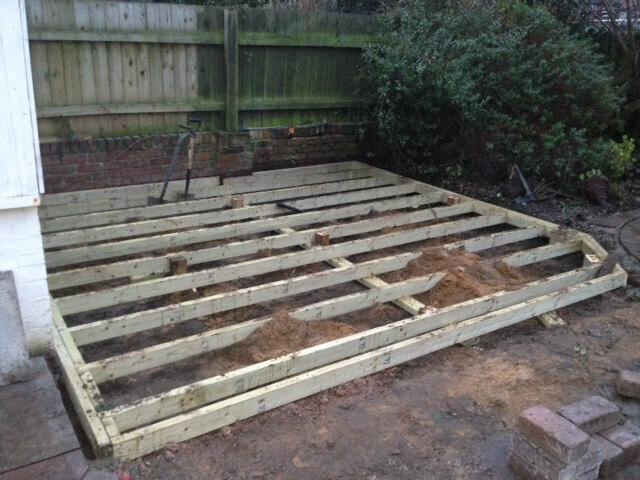 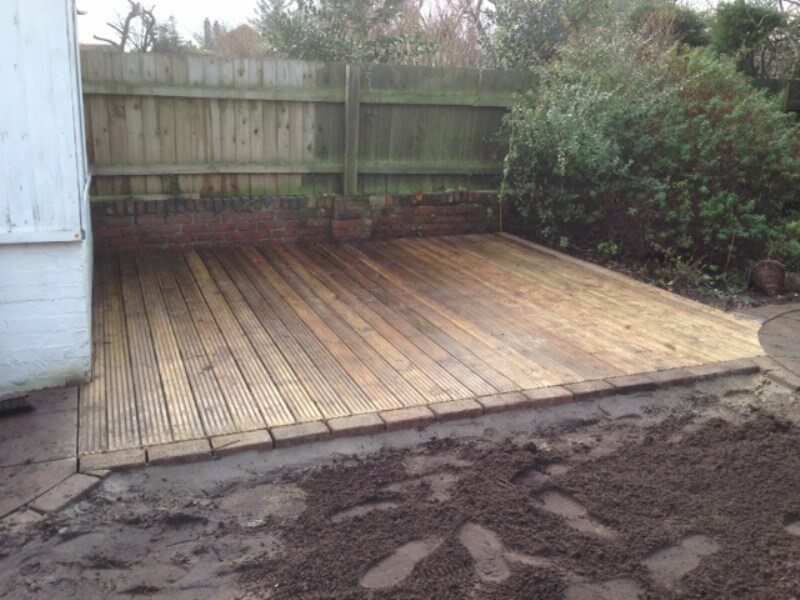 In the installation specification, we were installing a new decking feature to replace the paving under the existing pergola area and making good the existing ornamental water feature including raising it to same level as the patio paving. 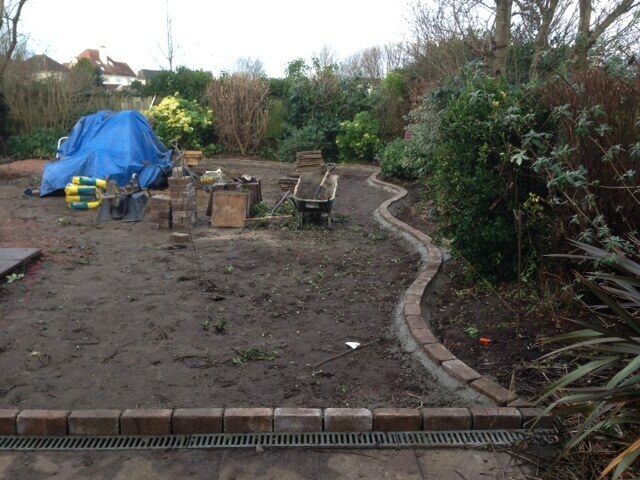 We were also installing a new lawn with new top soil and LED Spike lights around the border to light up the water feature, bushes and plants. 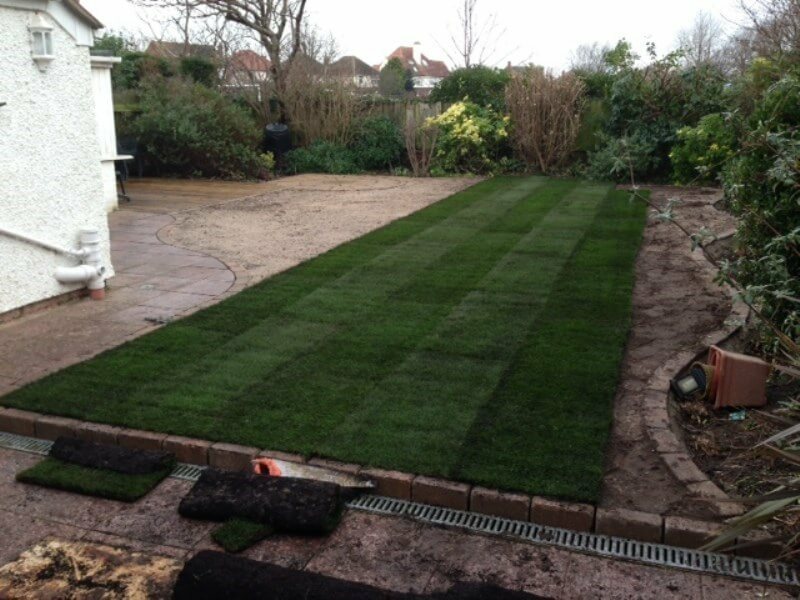 The lights and water feature are controlled with a remote control switch device.